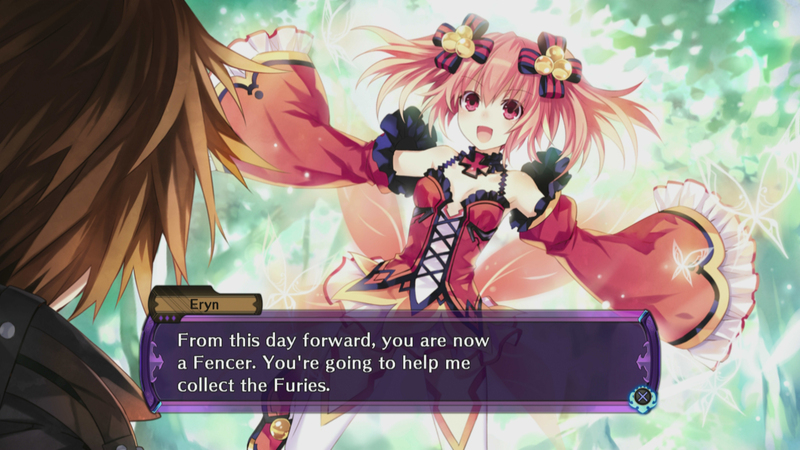 NIS America is happy to announce that the first English batch of screenshots is now available for the RPG Fairy Fencer F™. It will be available for digital and physical release for the PlayStation®3 in North America on September 23 and in Europe on September 26! 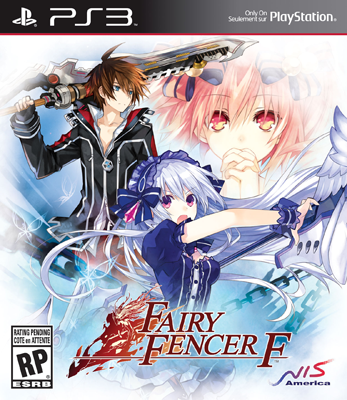 Developed by COMPILE HEART, Fairy Fencer F is a turn-based RPG that features character art by Tsunako (Hyperdimension Neptunia series), as well as concept art by Yoshitaka Amano and music by Nobuo Uematsu who are both renowned for their work on the classic Final Fantasy series. 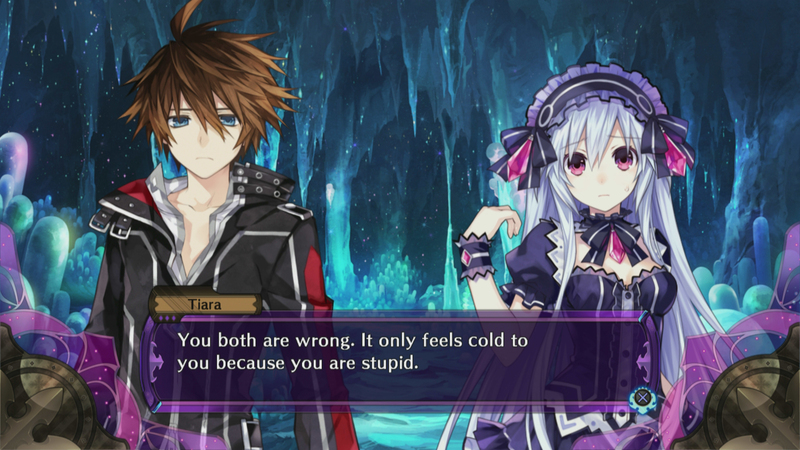 This batch of screenshots gives you a taste of some of the characters you’ll meet in the world of Fairy Fencer F.
Fang – The main character and a foul-mouthed Fencer. He’s something of a hedonist with a lazy streak, but he always pulls through when he’s needed. Eryn – Fang’s fairy partner. She thinks Fang is an idiot and is rather condescending to him. Tiara – A refined Fencer who takes things quite seriously. She might be slightly masochistic, but prepare to be terrified if you get her mad. Harley – A Fencer and fairyologist, she’s got an unhealthy obsession with all things fairy. She’s rather scatterbrained when it comes to anything outside the realm of her research. Bahus – Harley’s fairy partner. He looks tough, but he’s actually an accomplished cook and domestic caretaker. Pippin – A mysterious Fencer full of wisdom. How does his brain operate with a sword stabbed through his head? Who knows? Soji – Pippin’s dashing, gentlemanly fairy partner. He’s a well-mannered butler who’s often mistaken for a Fencer. Sherman – A Fencer who desires world peace and wants to keep Furies out of evil hands. He exudes style in his dress and speech. 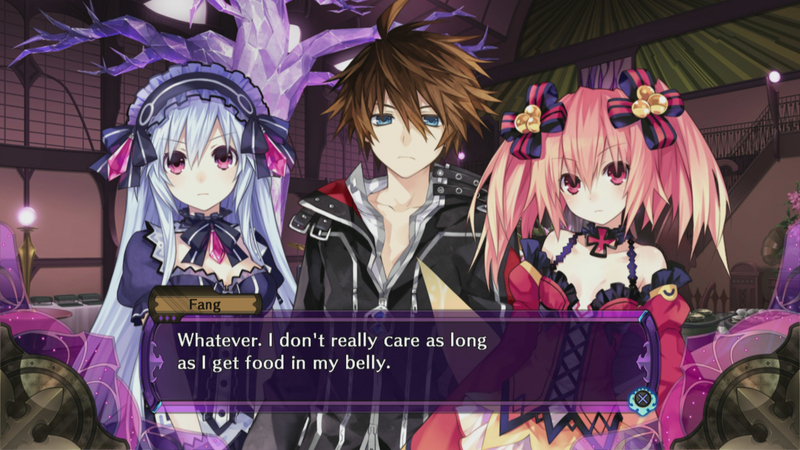 That’s probably why he and Fang don’t get along. 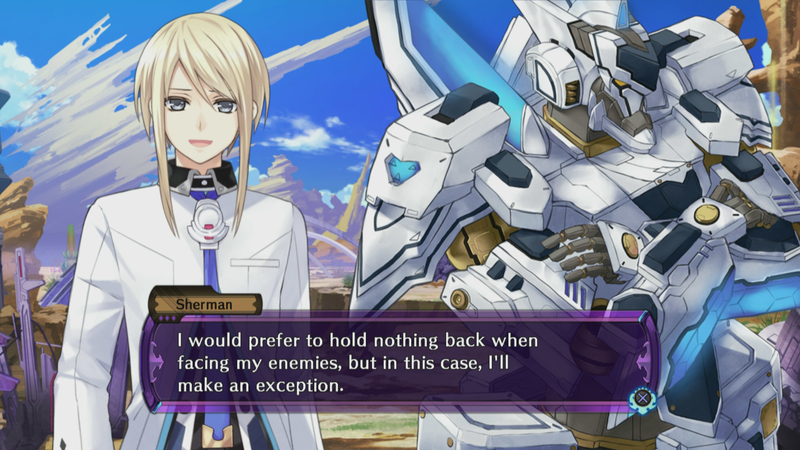 Ryushin – Sherman’s fairy partner. Serious, stern, and robotic in appearance – he can be stubborn and unwavering in his thoughts at times. 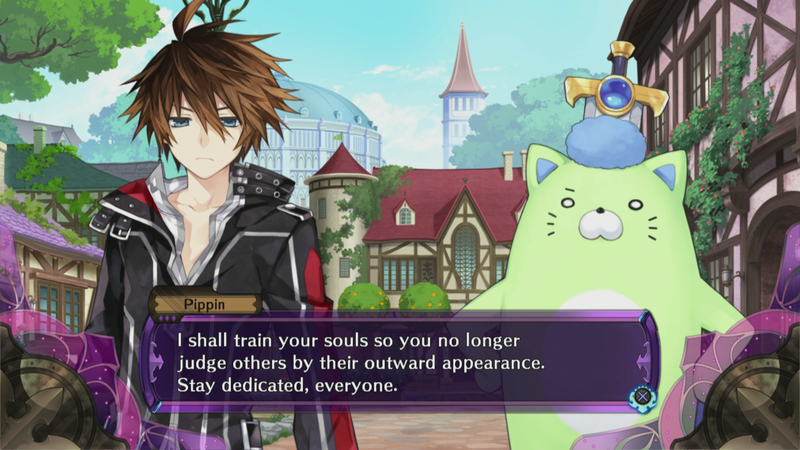 Robust Combat System – Witness the next evolution of Hyperdimension Neptunia’s battle engine! Move your characters in a fully 3-D environment as you link combos in thrilling turn-based combat! Exploit enemy weaknesses to trigger Avalanche Attacks and watch your party gang up on opponents! Send your enemies sky high with Launch Attacks, then follow up with an Air Attack to send them crashing back to Earth! And if fights get really tense, simply transform into your upgraded Fury Form and really bring the pain! Untold Levels of Customization – Use the Furies you collect to give your characters powerful abilities, or use them to customize dungeons to your exact specifications! Need a little more “oomph!” in your swing? We’ve got a Shaping Effect for that! Want some extra experience points after battle? We’ve got a Shaping Effect for that too! But what if you’re a masochist who wants everyone—allies and enemy alike—to deal DOUBLE damage? Oh, you best believe we’ve got a Shaping Effect for that! Artistic Pedigree – Enjoy the dulcet tones of renowned composer Nobuo Uematsu, the composer for many of the Final Fantasy titles. 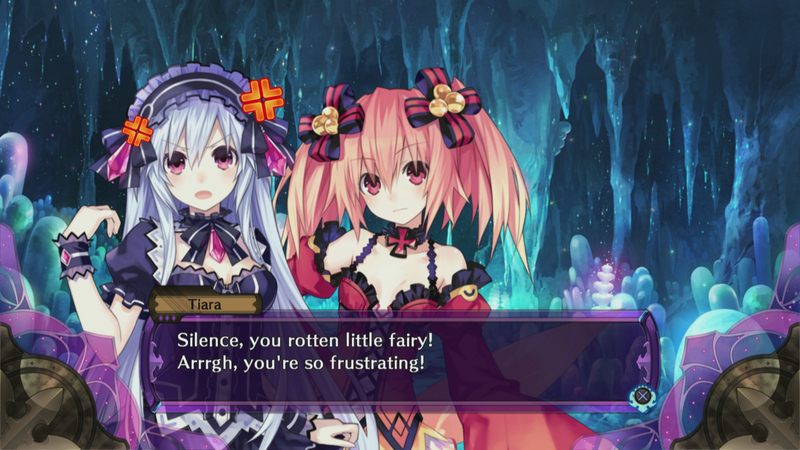 With character designs by Tsunako (Hyperdimension Neptunia) and Yoshitaka Amano (Final Fantasy I-VI), the line between cute and menacing has never been more blurred!